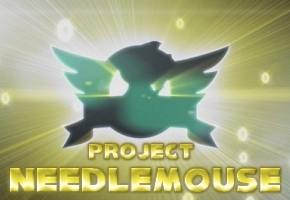 The results of the latest TSSZ News @Issue poll indicates no clear change in the level of excitement fans have with Project Needlemouse, amid speculation and mounting evidence that the first trailer for the game may have been produced in September without a tangible product. Our poll asked if those revelations and circumstances surrounding Integrated Alchemy’s trailers had you more, less, or just as excited about the next Sonic. Out of 678 votes cast, forty-nine percent said their excitement level was the same. Of note is how thirty-four percent said they were more excited in light of the developments, with only seventeen percent indicating they were less excited. It is with this in mind that a caveat should be cited: Shortly after the trailer trouble and the poll was posted, Sega began a week long reveal to show off a piece of information most assumed: that Sonic would the only playable character in Project Needlemouse. Following that, there was a breach of security that leaked what appears to be legitimate info on the game, with Sega trying to cover it up among sources both mainstream and independent.